The quest for justice in this case had a rocky start. As I described in this blog in October, 2013, the investigation into his death was started haphazardly. 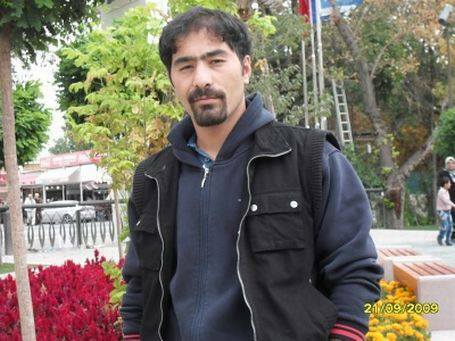 As Amnesty has noted, prosecutors only inspected the crime scene on June 7, a week after Sarısülük was shot. Although “the identity of the police officer was never in question,” it would take another week before “the police officer was detained and a statement taken from him prior to his release on the same day.” The Sarısülük family has told Amnesty of harassment of both themselves and potential witnesses. Protestors at court hearings have sometimes been met with tear gas and water cannon. Hundreds of concerned citizens including many victims of police violence came to witness the session. Hundreds of police were there as well. Amnesty sent a number of observers to the trial and two live-tweeted the proceedings. The case is a vital one, both because it can bring justice for the victim’s family and because it is one of the few cases that has challenged the shield of impunity which protects police abuse in Turkey. Despite all of this attention, however, the suspect himself did not attend. #EthemSarısülük Sanık şimdiye dek hep kaçtı,ifade vermedi,duruşmalara gelmedi.Tutuklu yargılanma talebinin daha geçerli sebebi olabilir mi? Lawyer Murat Yılmaz argued that the court is “dallying” and avoiding Şahbaz’s testimony. The next hearing is scheduled for May 26. Amnesty will be there. Let’s hope the defendant shows up as well. This entry was posted in Excessive Force, Freedom of Expression, Turkey, Uncategorized and tagged Amnesty International, Censorship, criminalization of dissent, Diren Gezi, DirenGezi, Ethem Sarisuluk, excessive force, Freedom of Expression, Gezi Park, Human Rights, Milena Buyum, Ruhat Sena Aksener, Sarısülük, Turkey. Bookmark the permalink.